Romaine lettuce is shipping again after a late November outbreak of E. coli, but only after the federal government began a new round of negotiating with producers for changes in tracking. For now, romaine lettuce that has been deemed safe to eat will come with labeling, and include where the lettuce comes from. 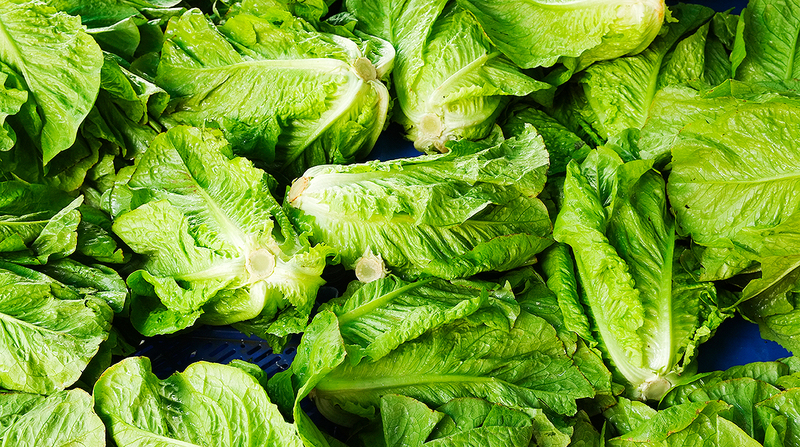 Federal officials are warning consumers not to eat unlabeled romaine lettuce. But the larger task at hand is how to track romaine lettuce in the future, in case of another E. coli outbreak. Tracking tainted romaine lettuce in the past has been tricky, and any change in regulation or installed technology seems likely to affect the supply chain as well as the producers. In some cases, truckloads of romaine lettuce were in transit as the recall came down. When the Centers for Disease Control said that romaine lettuce was tainted with E. coli, Rose knew what he and his drivers had to do. Two days before Thanksgiving, Rose told drivers to dump their truckloads of romaine lettuce. The order was the easy part. Finding places to dump the 15 truckloads was another issue. Rose said some of the drivers had difficultly finding a place that would accept the loads. Eventually, tons of lettuce were sent to landfills and dumps. Rose, who handles much of the Central California lettuce business for the company, told the truckers to keep their landfill receipts. Some food service companies, such as Aramark Corp., said they will not serve romaine lettuce in their cafeterias until well into 2019, according to the University of Cincinnati’s student paper, The News Record. “It’s a small price to pay to make sure our food supply is safe,” Rose said. Other major food haulers said they were careful to take steps to assure the safety of food products. During an outbreak of illness caused by tainted romaine lettuce that ended in late June, 210 food-poisoning cases were reported, resulting in 96 hospitalizations and five deaths. The outbreak was traced to the Yuma region. To ensure that you are successful in your trucking endeavors, we have a great set of benefits such as a fuel card, truck insurance, ELD’s, and more. Click to learn about all of our benefits.